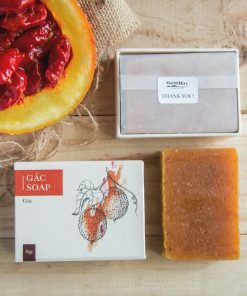 A luxurious bar of soap, infused with Gac. 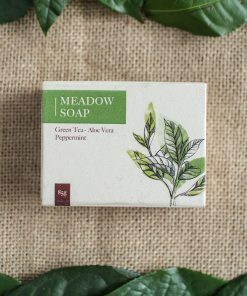 Suitable for facial use and sensitive skin. 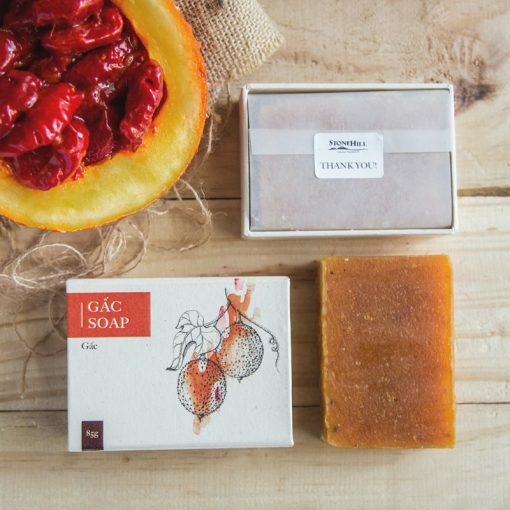 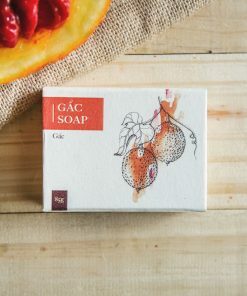 Gac Soap is an exquisitely luxurious bar of soap that utilizes the Gac fruit from the Mekong Delta to rejuvenate your skin. 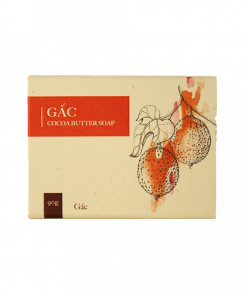 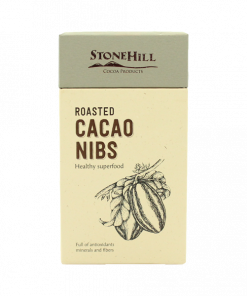 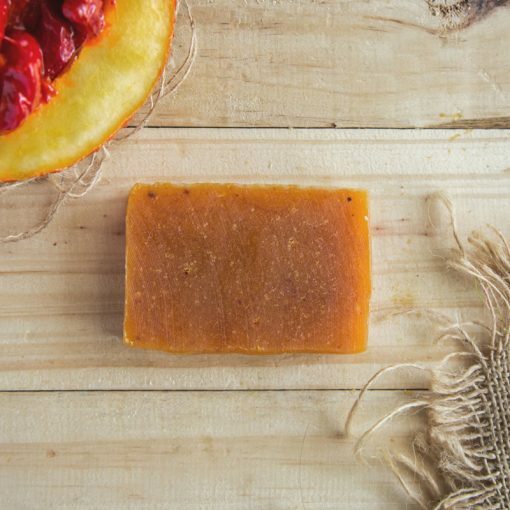 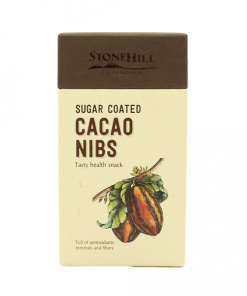 Of the Gac fruit, gac oil is extracted and dried gac pulp is grinded into powder to blend with Stone Hill’s cacao butter soap base. 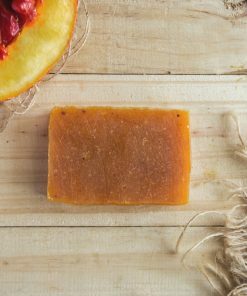 This wonderful mixture is then accentuated by a careful blend of 4 floral essential oils. 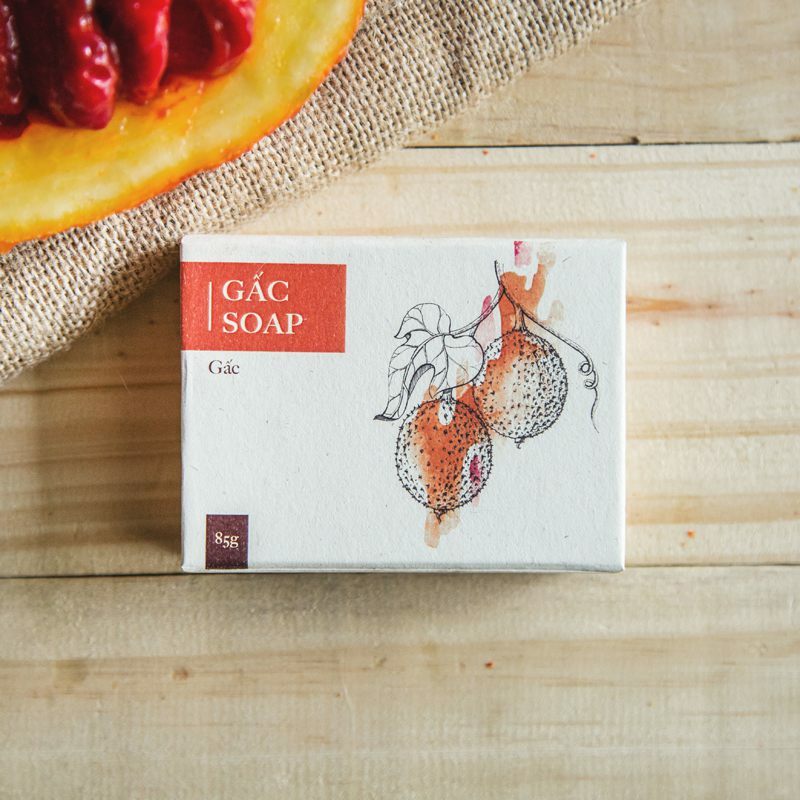 All of Gac Soap’s ingredients are very high in Omega 9, Vitamin E, Lycopen and antioxidant content with moisturizing properties. 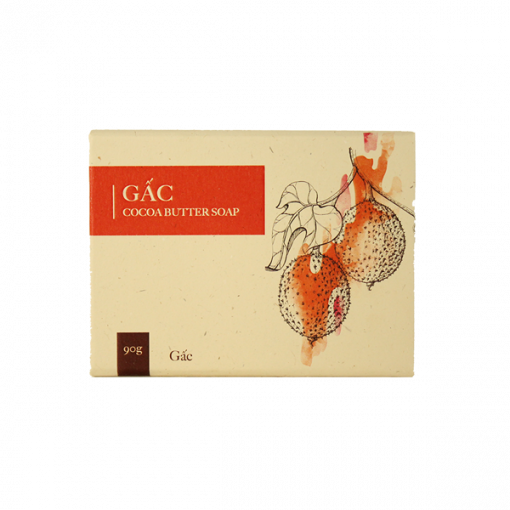 Gac helps restore moisture to dry and rough skin. 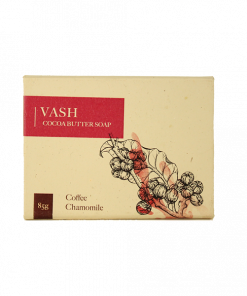 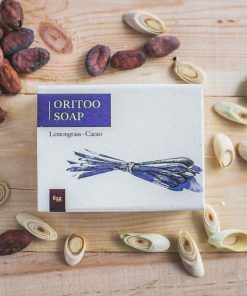 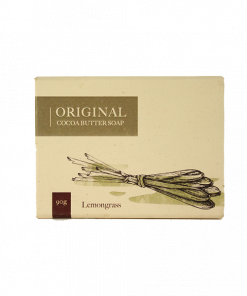 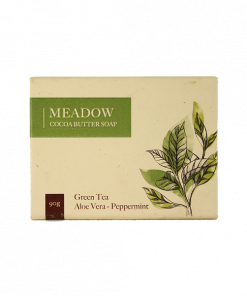 Suitable for all skin types and can be used for both body and face but especially suitable as a facial soap and sensitive skins. Vietnamese cocoa butter, coconut oil, olive oil, sunflower oil, canola oil, tamanu oil, castor oil, grapeseed oil, rice bran oil, soybean oil, distilled water, lye, ylang ylang essential oil, rose essential oil, jasmine essential oil, plumeria essential oil, gac oil, dried gac powder. 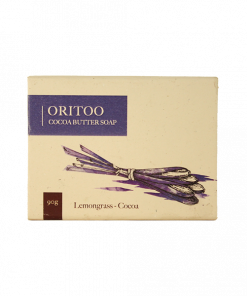 Wet skin with water, rub soap on hands or soap sponge and apply evenly all over body. Rinse with water. 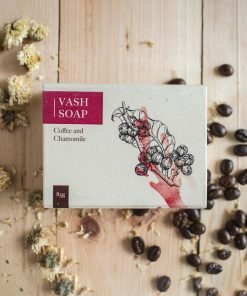 To be used externally, avoid direct contact with eyes. 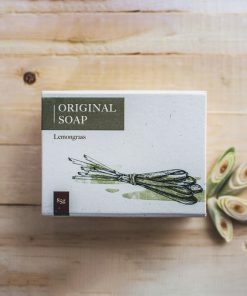 Rinse thoroughly with water if soap gets into eyes.